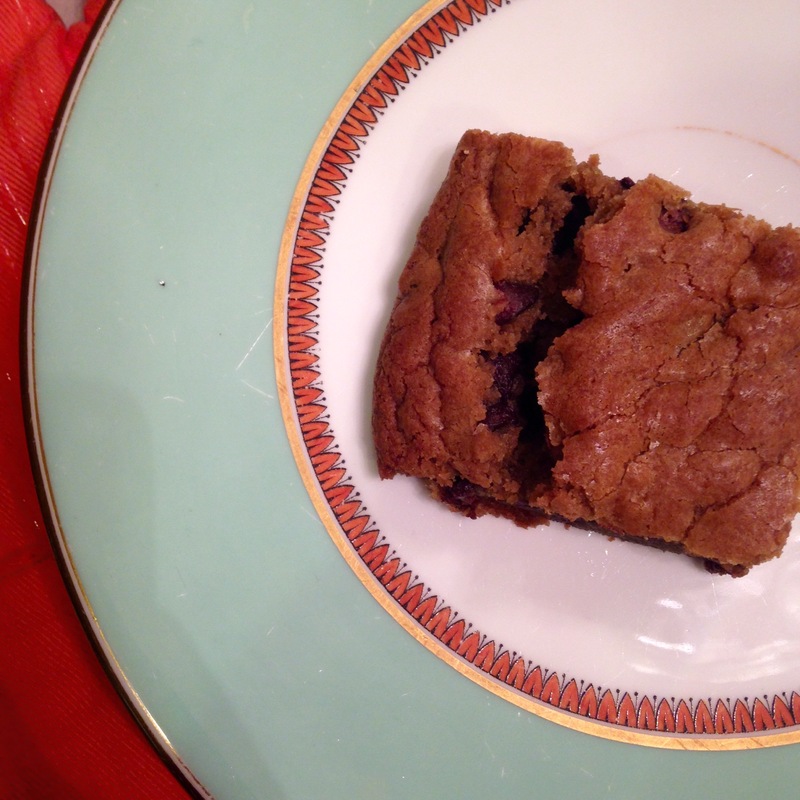 Day 79: Chocolate Chip Blondies! I really do love blondies. I feel like they’re often overlooked in favor of their more popular cousin, the brownie, but I can really appreciate the delicate brown sugar flavor of a good blondie. When you add chocolate chips to the mix, you get all the flavor of a chocolate chip cookie with the chewy texture of a brownie. Best of both worlds, if you ask me! Start by lining a round 9 inch pan with parchment paper. Grease the parchment paper. Preheat the oven to 350 degrees F. Then, melt your butter until liquid. Mix in the sugar. Stir in the egg and extracts. In another bowl, combine the baking powder and soda with the flour and salt. Then, add gradually to the liquids. Stir well. 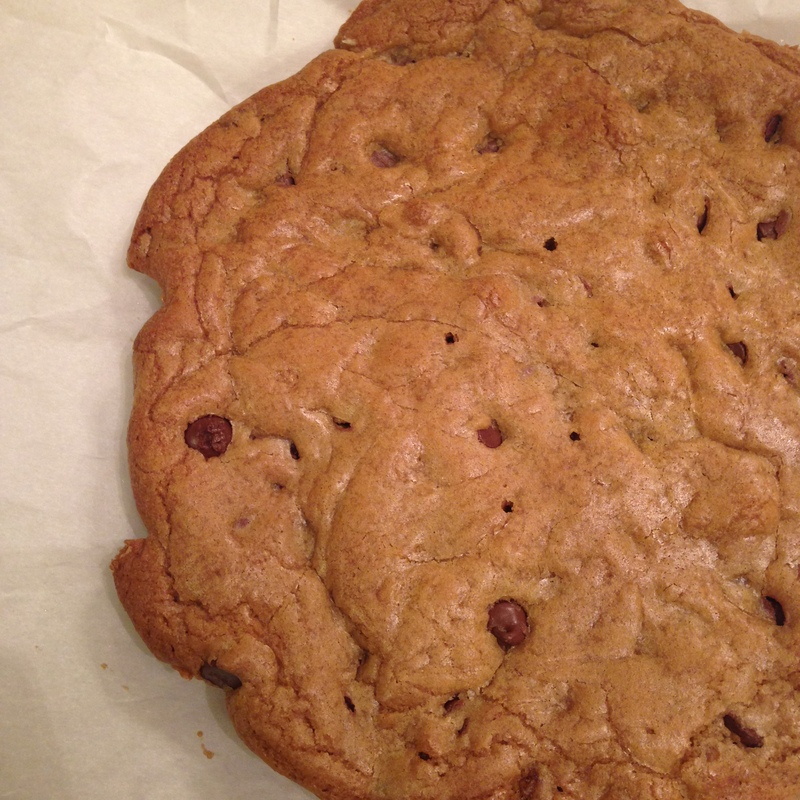 Then, mix in your chocolate chips and transfer to your prepared baking pan. Cook for about 25 minutes or until a toothpick comes out clean. Let cool thoroughly before cutting. I also love blondies, and these look fantastic! I’m going to have to try this, yum! I love brownies. I don’t really know much about blondies and I only learned that they were closely related to the brownie from your post. I must try this recipe to find out for myself. Go ahead! Thanks for including credit!